This DMI marine services homepage aims to provide information about the state of the sea at present, and for the near future. 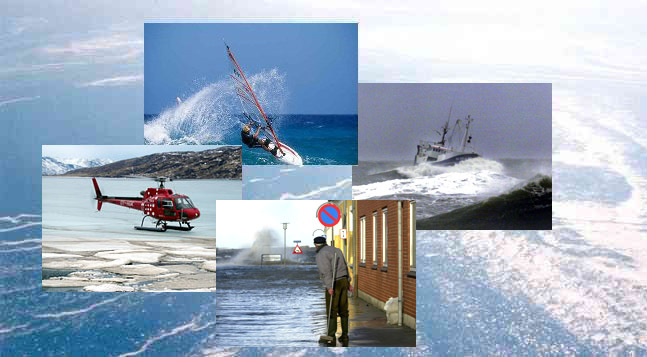 DMIs core marine activities are storm surge warnings, ice charting, waves, ocean currents, satellite surveillance, ocean climate and marine data. Marine focus areas are the North Sea, the Baltic, Greenland/Arctic and Faroese waters. The North Atlantic and other selected areas are also covered. In addition to the free products on the web page, DMI offers consultancies on subjects like ocean data, user specified forecasts for ocean or ice, analysis and professional advising.